New Delhi: India criticised Moody's ratings methods and pushed aggressively for an upgrade, documents reviewed by Reuters show, but the US-based agency declined to budge citing concerns over the country's debt levels and fragile banks.Winning a better credit rating on India's sovereign debt would have been a much-needed endorsement of Prime Minister Narendra Modi's economic stewardship, helping to attract foreign investment and accelerate growth. Since storming to power in 2014, Modi has unveiled measures to boost investment, cool inflation and narrow the fiscal and current account deficits, but his policies have not been rewarded with a ratings upgrade from any of the "big three" global ratings agencies, who say more is needed. Previously unpublished correspondence between India's finance ministry and Moody's shows New Delhi failed to assuage the ratings agency's concerns about the cost of its debt burden and a banking sector weighed down by $136 billion in bad loans.In letters and emails written in October, the finance ministry questioned Moody's methodology, saying it was not accounting for a steady decline in the India's debt burden in recent years. 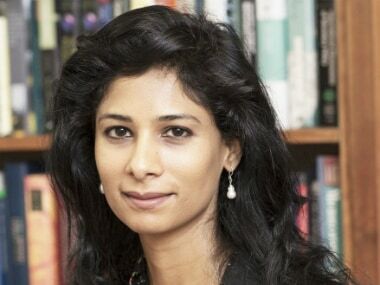 It said the agency ignored countries' levels of development when assessing their fiscal strength.Rejecting those arguments, Moody's said India's debt situation was not as rosy as the government maintained and its banks were a cause for concern, the correspondence seen by Reuters showed.Moody's and one of its lead sovereign analysts, Marie Diron, declined to comment on the correspondence, saying ratings deliberations were confidential. India's finance ministry did not respond to requests for comment. Arvind Mayaram, a former chief finance ministry official, called the government's approach "completely unusual". "There was no way pressure could be put on rating agencies," Mayaram told Reuters. "It's not done." India has been the world's fastest growing major economy over the past two years, but that rapid expansion has done little to broaden the government's revenue base. At nearly 21 percent of gross domestic product (GDP), India's revenues are lower than the 27.1 percent median for Baa-rated countries. India is rated at Baa3 by Moody's, the agency's lowest notch for debt considered investment grade. A higher rating would signify to bond investors that India was more creditworthy and help to lower its borrowing costs. While India's debt-to-GDP ratio has dropped to 66.7 percent from 79.5 percent in 2004-05, interest payments absorb more than a fifth of government revenues. Moody's representatives, including Diron, visited North Block, the colonial sandstone building in the Indian capital that houses the finance ministry, on 21 September for a discussion on a ratings review. 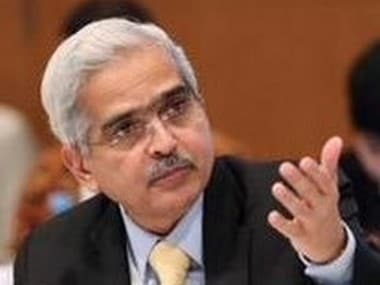 The atmosphere at the meeting with Economic Affairs Secretary Shaktikanta Das, one of the ministry's most senior officials, and his team was tense, according to an Indian official present, after Diron had told local media the previous day that a ratings upgrade for India was some years away. On 30 September, Moody's explained its methodology to Indian officials in a teleconference. Four days later, the finance ministry sent an email to Diron questioning Moody's metrics on fiscal strength. The government cited the examples of Japan and Portugal, which enjoy better ratings despite debts around twice the size of their economies. "Given that countries are on different stages of economic and social development, should countries be benchmarked against a median or mean number (as is done by Moody's)" the email asked. In India's case, "while the debt burden lowered significantly post 2004, this did not get reflected in the ratings", the ministry argued. New Delhi urged Diron to look at improvements in the factors - better forex reserves and economic growth - that Moody's had considered when handing India its last ratings upgrade in 2004. In a reply the next day, Diron said that, not only was India's debt burden high relative to other countries with the same credit rating, but its debt affordability was also low. She added that a resolution to the banking sector's bad loan problems was "unlikely" in the near-term. In a last-ditch effort on 27 October, Economic Affairs Secretary Das sent a six-page letter to Singapore-based Diron, addressed to Moody's New York headquarters. Reiterating points on India's fiscal strength, Das asked Moody's for a "better appreciation of the factual position". 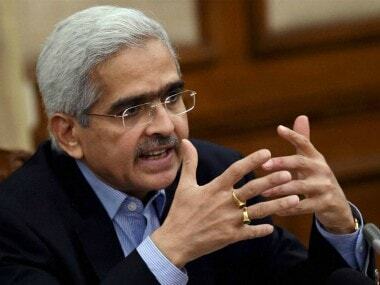 Das dismissed Moody's concerns on India's public finances as "unwarranted" and told the agency that there was "scope for further lowering" the political risk perception to "very low". "In the light of stable external debt parameters and the slew of reforms introduced in the realm of foreign direct investment, you may like to reconsider your assessment on 'external vulnerability risk'," he wrote. 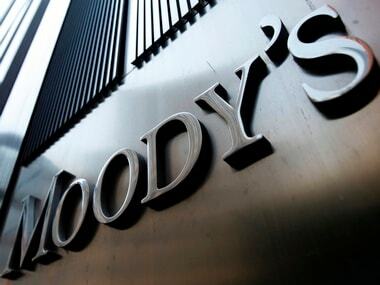 Moody's on 16 November affirmed its Baa3 issuer rating for India, while maintaining a positive outlook, saying the government's efforts had not yet achieved conditions that would support an upgrade.